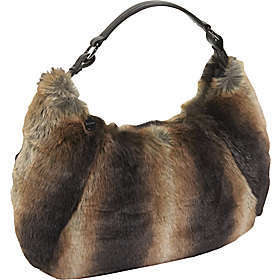 ﻿ Animal Print Handbags And Purses: Carry On the Fashion! Animal Print Essentials › General › Animal Print Handbags And Purses: Carry On the Fashion! Animal Print Handbags And Purses: Carry On the Fashion! Animal Prints are steady up on top of the list in fashion runways again this year, and animal print purses are presented in all different prints, materials, sizes, shapes, and textures to cover every style. This year, animal print handbags are offered in a great range of colors and many times are outlined with leather trim details in many bold fun colors making them a perfect accessory to nearly any outfit. The Leopard has been the most frequently used animal print in hues of browns, oranges, soft yellows and classy neutrals giving a liven to any look. Giraffe is now gaining new heights and becomes a true favorite, followed by the spotted cow, the Tiger and the classic black and white Zebra print . With the many colors available in Ostrich, Crocodile and Snake skin, these skins are also extremely popular and can add immediate style and pizazz to any outfit. And for the artistic woman with a dash of whimsy, Tortoise and other shell handbags are just the latest word of fashion.